Lightsabers are really one of the coolest fictional weapons that have ever been invented. 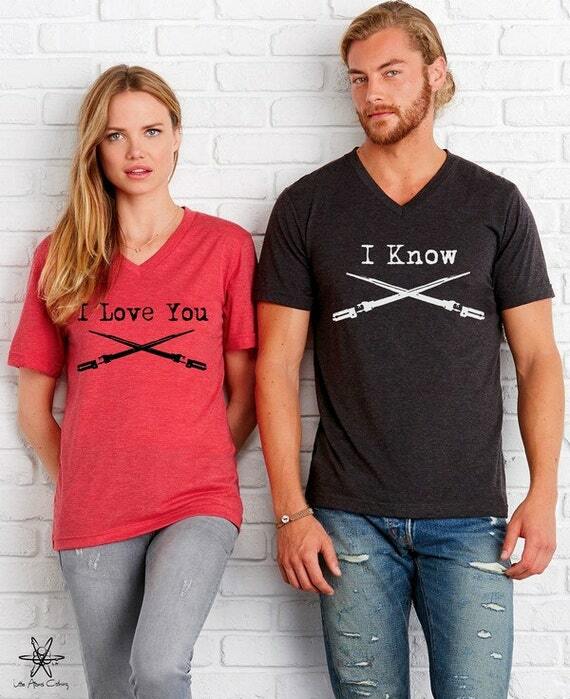 So why not buy a cool lightsaber gift for a fan. Jedi Knights both young and old would be nothing at all without having some of these super Star Wars dueling toys to show off. Even adults love the lure of the saber. My husband bought us both a matching couple of colored little torches so we could have mini duels together. That’s because we’re both a couple of big kids and sci-fi geeks to boot. 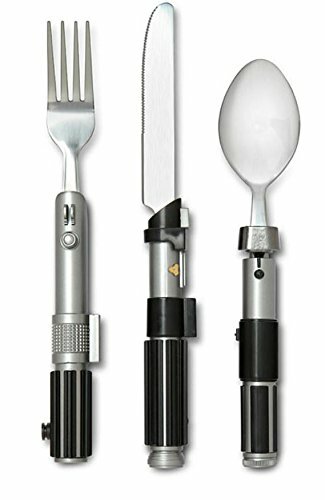 ⭐ These neat gadgets and novelty items make great lightsaber gifts for fans of Star Wars. My husband certainly enjoys getting the odd item from this cool franchise, even though he is also a bit of a Trekkie. But, in Yoda speak, forgive him for that, I will! These rather cool looking light up chopsticks are sold as a pair with red and blue colors. 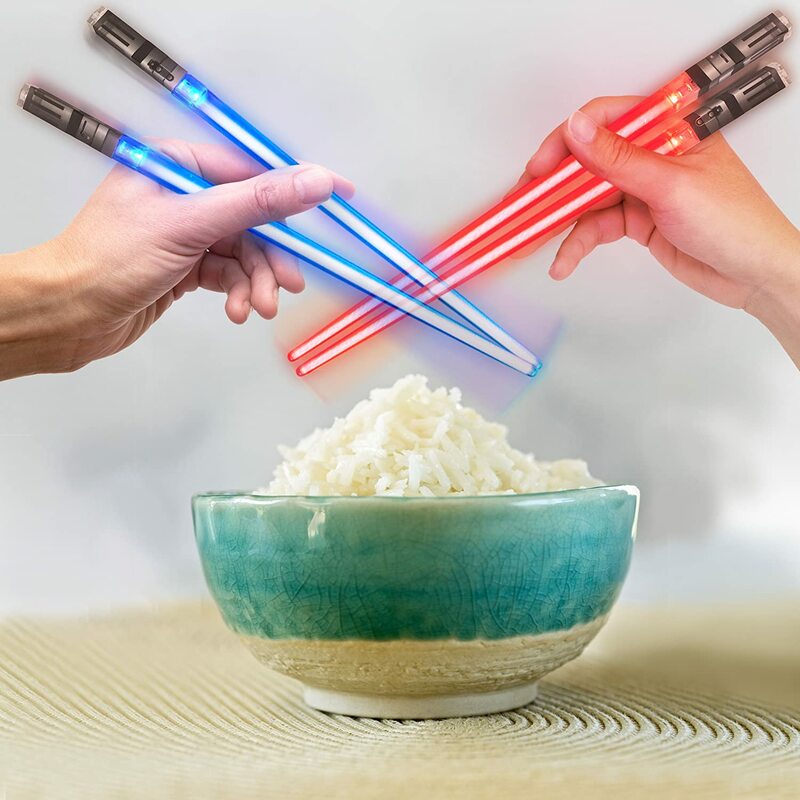 You can now have a friendly duel over your Chinese food. All you have to do is choose which side you are on. Will you go with blue which is the color used by Luke Skywalker and Rey or will you go with the bad side and choose red to be like Darth Vader and all the other bad guys. There are many other colors and designs to choose from. Mace Windu used purple and Yoda used green. Feel the Force! Can you actually eat with the chopsticks? According to many reviews I've read, you can eat with these but some people state that they are a little on the smooth side which makes it harder to pick things up with them. They do look really good to eat with though. There is a non-light up Darth Maul pair that have magnets attached to them. The magnets can transform them into his double bladed weapon as well which is a really neat addition to what looks to be an uber cool product. It's a long time since I've had a heat reveal mug. This one shows different lightsabers on the outside of the mug which are handily named for you. When you pour in the hot water, all the colors on the different sabers show up like magic. I love that the designs are set against a dark background which appears to make the colors pop even more. This should make for a great novelty gift for a fan. 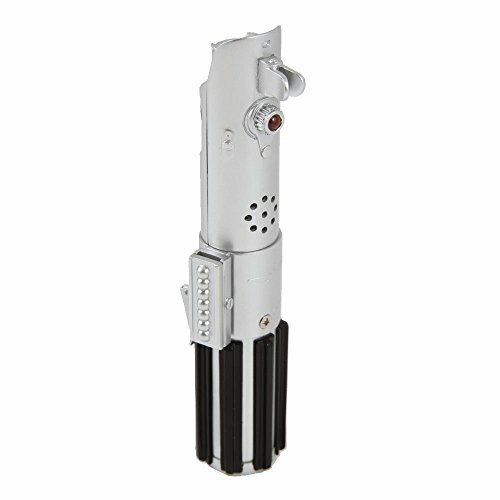 There is a very cool looking saber candlestick by ThinkGeek which is made from metal. It comes with three red taper candles so you can use it straight away. The candles are no-drip and a standard sizing so you can buy replacements. It comes boxed which makes it easier to wrap up for gift giving too. 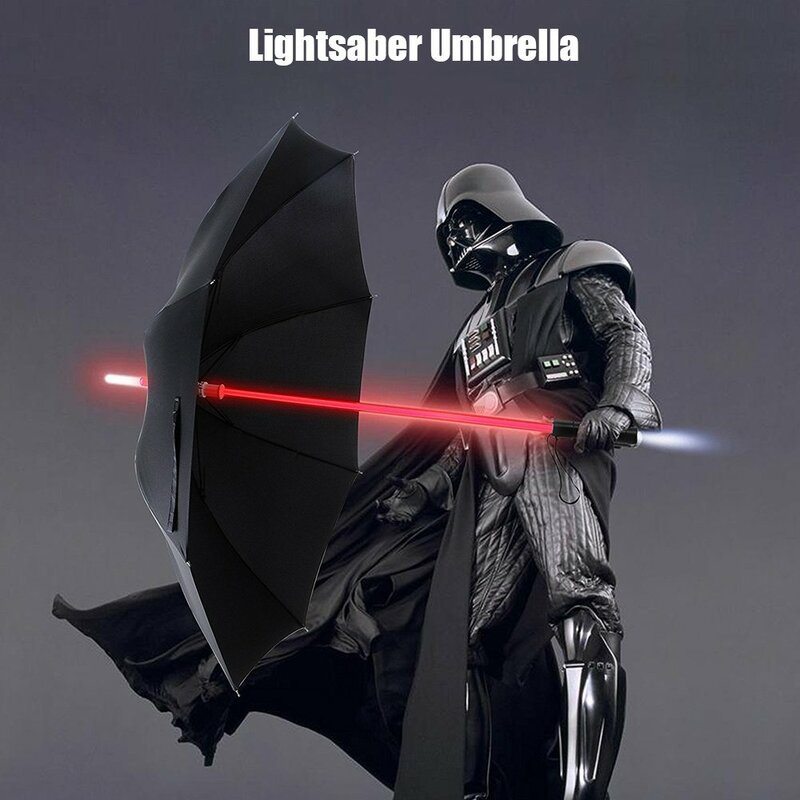 Use the force to protect you from the harsh elements with a lightsaber umbrella. There are 7 different LED light colors that you can choose from for the main shaft. 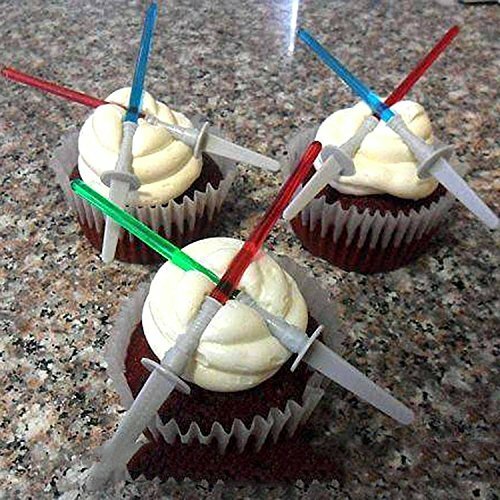 So you can put the force of evil to some good for a change as you use the red color to do battle against the weather. The umbrella comes with a carrying sleeve which makes it easy to take out and about with you and less chance of you leaving it behind. Although I really don't think you would want to leave this behind because it really looks way too cool to lose. The umbrella canopy is black or you can choose one with blue fabric instead. 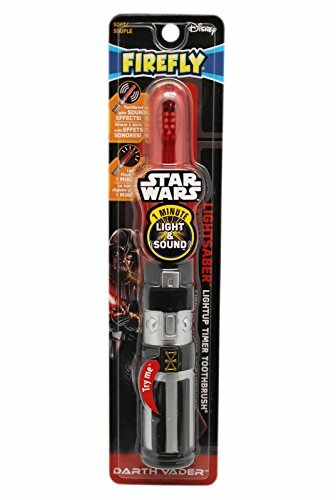 This is a Kylo Ren lights and sounds toy which has motion sensor controlled sound effects and three glowing red blades. It is modeled on the weapon used by the new character in The Force Awakens. You can get many other models including one for Anakin Skywalker. 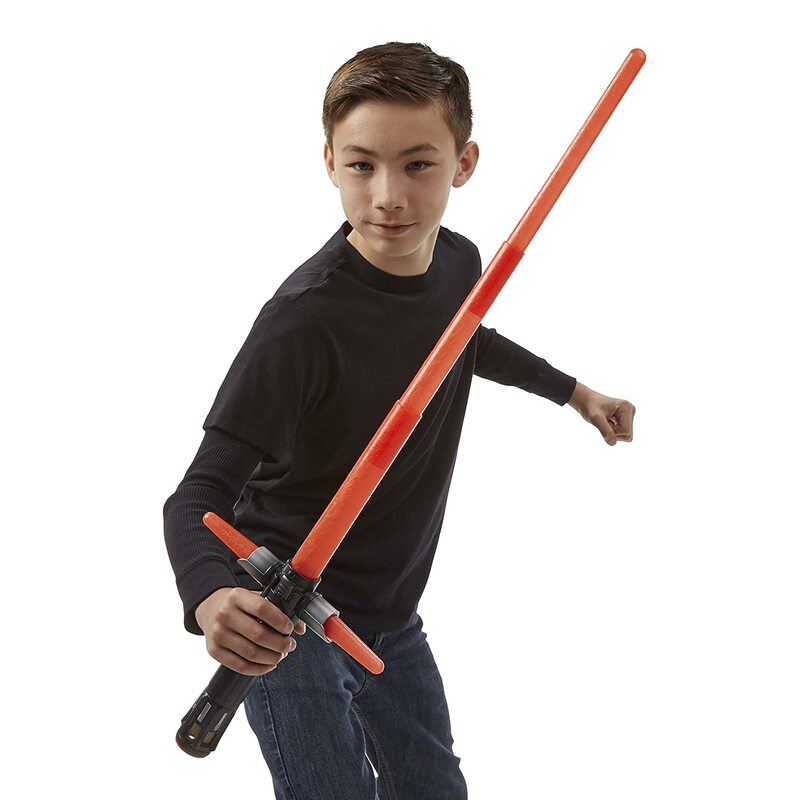 Anakin Skywalker is one of my least favorite characters ever from this franchise but most kids seem to love him and his battle action device is pretty cool since it lights up and makes authentic battle sounds plus the humming sound when activated. It seems like a good choice for kids to play and duel with. 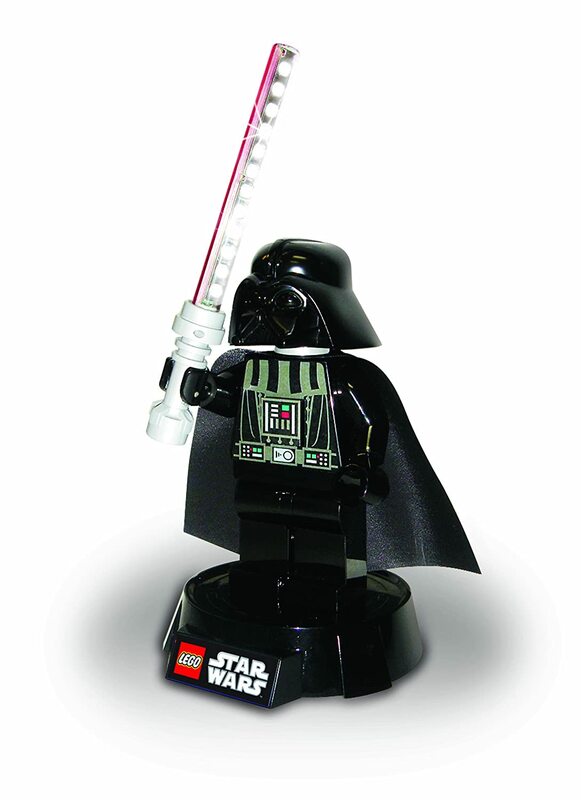 Let Darth Vader's lightsaber light up your bedroom. 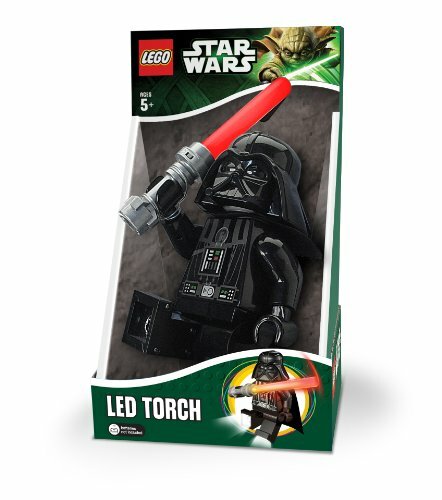 This is a fun looking Lego Star Wars design which features a desk lamp with 12 LED lights in Darth's lightsaber weapon. This could be a pretty unique home or bedroom decor gift. The 12 lights on this are white ones. I wish they were red to match up with the actual color of his blade but then it wouldn't be a very bright lamp. 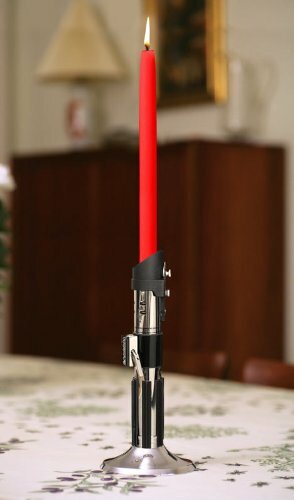 For a bit of fun in the kitchen, there is a lightsaber pizza cutter that has sounds from Darth Vader’s weapon. The sounds activate once you start cutting with it. I love the look of the handle. 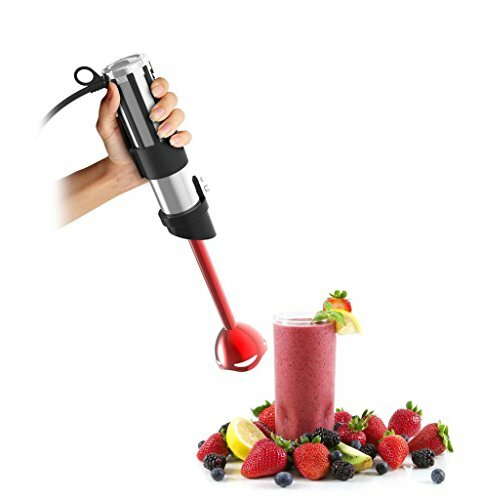 There are many more kitchen themed gadgets and accessories that you can get including flatware, spatulas, tongs and more. I also like the R2-D2 pizza cutter which looks very cool. You can grill in style with some special BBQ tongs that have a red sheath cover and fun sounds as well. There’s also a matching fork and why not grab Darth’s apron too while you are at it. 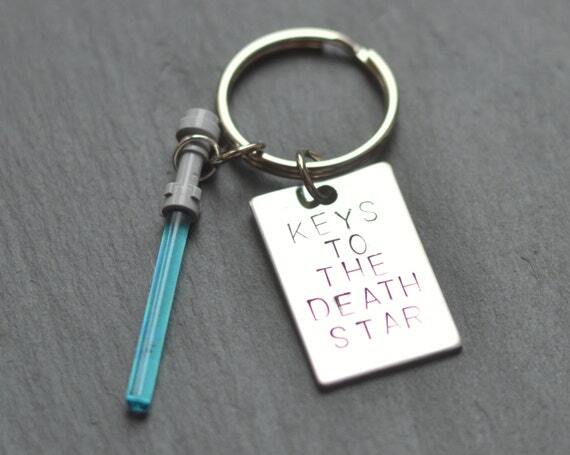 There are plenty of other ideas for toys and gifts based on the Jedi and Sith weapon. Look for little keychain and keyring sabers to special lip balms which make great stocking stuffers and small gifts, right up to good quality lit replica blades some with sound effects and lights as well. Angry Birds Star Wars are among my favorite Angry Birds game apps to play. It’s so much fun to play with the really cool scenery, characters and sound effects. There are many toy games based on the SW Angry Birds which will see you fling the Obi-Wan Kenobi bird from the lightsaber launcher to knock down the evil Darth Vader and Stormtrooper pigs. These are fun toys that kids should really enjoy. 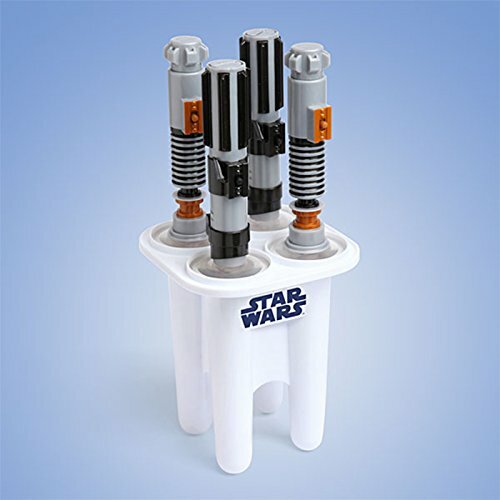 Star Wars lightsaber gifts come in all kinds of different color choices. The traditional Jedi saber colors are blue and green whereas Sith, bad guy, ones are red. If you’re a force of evil like Darth Vader or Darth Maul then you’ll want to go with the red color. Otherwise you can now get these weapons in all colors and shades of the rainbow. Kylo Ren has a red one. Rey has a staff and uses a blue saber in her duel with Kylo Ren in The Force Awakens movie.